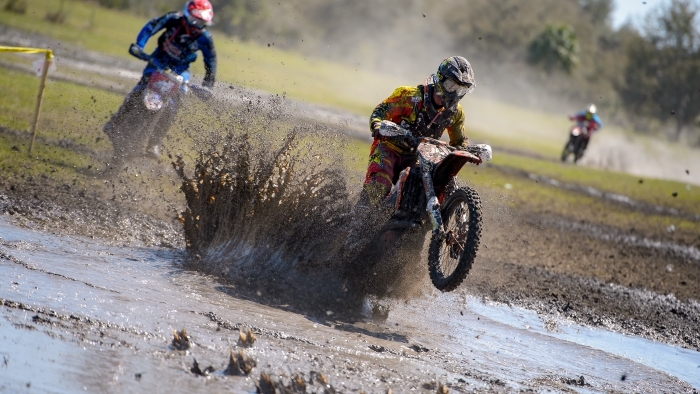 Ryan Sipes: "My first GNCC was fun. It was definitely a learning experience. I felt like my speed was good and running up front with those guys was comfortable for me. Around the 2 hour mark, I started cramping pretty bad, and that slowed me down a lot. This is totally different from what I'm used to, that's for sure! I'm happy with the decision I made to race these though and I'm really looking forward to round 2. I know where I need to improve and with what I learned this week, I'll be making some adjustments to my program. Round 1 was tough but it really lit a fire under me. I'm excited! I love this challenge!